When Abby found me on Instagram, I could tell by the excitement in her messages that, she was beaming with joy from the love that Hunter and she share. 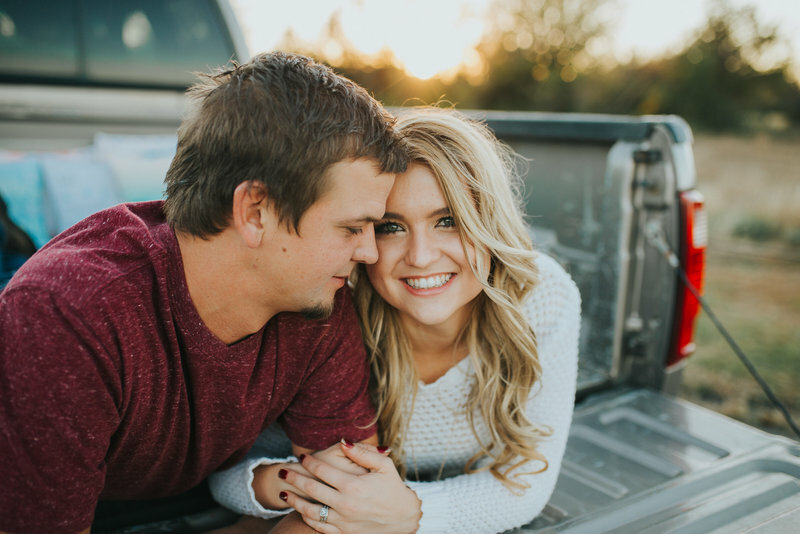 Abby & Hunter met in college and from the sounds of it, God played a huge role in finding the perfect person to complete the other’s missing puzzle piece. They share so many similarities and interests. They met in college and even though Hunter is a Michigander, he packed up and moved to Kansas to follow the love of his life. Abby had told me she loved bright colors and flowers and although it’s a little early in the season for lots of blooms, the lake didn’t disappoint with a patch of wildflowers & flowering trees to match her springtime wardrobe. Meeting you both on Sunday evening was a pleasure! I feel like we’ve known each other forever and can tell amazing things are in store for your beautiful May wedding. I’m so excited to be a part of your love story! Thank you for trusting me with your best day ever and I hope you enjoy this little sneak peek into your session. We had to have a little fun, of course!…. I swear these two are the cutest! Are diamonds or flowers a girl’s best friend? That’s a tough choice. And this one. My goodness, gracious! Flower petals blowing in the wind made the most romantic ending to their beautiful session.